We've all done it — no matter how vigilant you are about keeping your eyes on the road, you've no doubt glanced at your phone to check on your directions or view an important notification. With Navdy, that will be a thing of the past. 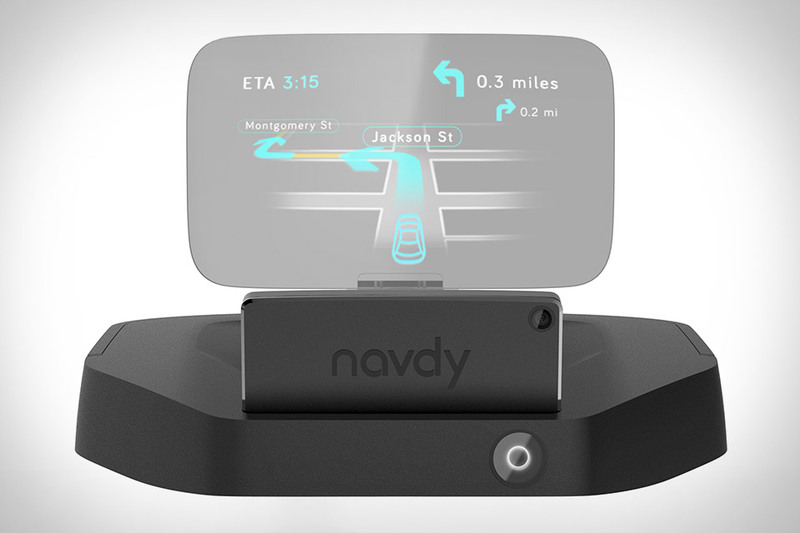 This 5.1-inch transparent heads-up display connects to your phone via low-power Bluetooth and presents your navigation info and incoming notifications in a distraction-free way — above your dash, and between your eyes and the road. An IR camera lets you control things via touchless gestures, and thanks to an OBD-II power and data connection, it can give you pertinent info about your car's performance and vitals, too, all without making any modifications to your existing ride. Learning to play a musical instrument can be a real pain — especially if you haven't already spent most of your life practicing — but with Gtar, you can make learning to play the guitar just a little bit easier. Made to work with your iPhone, this guitar features a multi-touch LED fretboard that lights up, showing you exactly what to play. Best yet, it's built exactly like a guitar, with genuine strings and working frets, so anything you learn translates directly to the real thing. And with multiple purpose-built apps, you can learn more, create music, and play existing songs, learning to play a guitar has never been so easy. Have something small — cash, microfilm, an SD card loaded with private videos — that you want kept safe and out-of-sight? Hide it in plain view with the Spy Bolt. Based on Soviet KGB hollow bolts, this handy gadget features a secret storage compartment that's nearly half and inch in diameter and almost three inches long, offering plenty of room for covert communications. And should the bolt find its way outside, you rest assured that the contents are safe, thanks to an O-ring seal around the top.